There’s been a whole shed full of theories that were just plain wrong, from Aristotle on motion, phlogiston, phrenology, to the glorious bizarreness of a hollow earth where we live on the inside. Ideas like these are laughed at now because the scientific method proved them wrong. But its a good idea to see what we can learn from the mistakes of others. 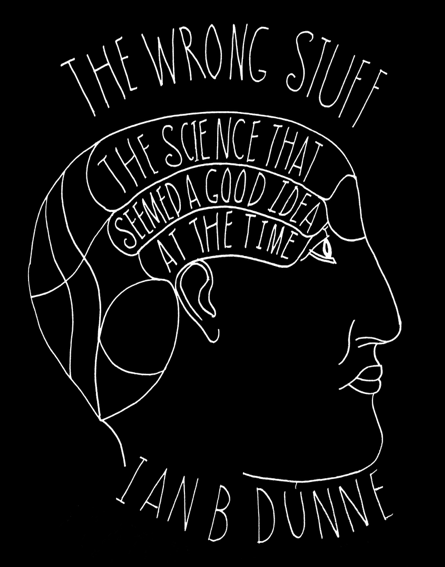 Join Ian B Dunne the Science Showman on a series of sideways leaps through the dead ends of the history of science with an emphasis on entertainment, amusement and changing the way you look at the world. A whistle-stop tour of some of the wackier theories that have added colour and weirdness to our understanding of our fantastic universe.